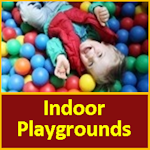 We are the #1 guide to indoor & outdoor playgrounds, attractions and more! Don’t forget to check out our newest Coupon Page for NJ indoor places to play, have we got a deal for you! Want to search for a place to play? Check out our advanced search to search by county, city or amenities like fencing, or bathrooms. 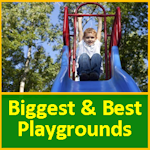 Interested in Advertising on NJ Playgrounds? We have limited opportunities available for display advertising and email promotions to our audience. Learn more here.